A comprehensive introduction to new approaches in artificial intelligence and robotics that are inspired by self-organizing biological processes and structures. New approaches to artificial intelligence spring from the idea that intelligence emerges as much from cells, bodies, and societies as it does from evolution, development, and learning. Traditionally, artificial intelligence has been concerned with reproducing the abilities of human brains; newer approaches take inspiration from a wider range of biological structures that that are capable of autonomous self-organization. Examples of these new approaches include evolutionary computation and evolutionary electronics, artificial neural networks, immune systems, biorobotics, and swarm intelligence-to mention only a few. 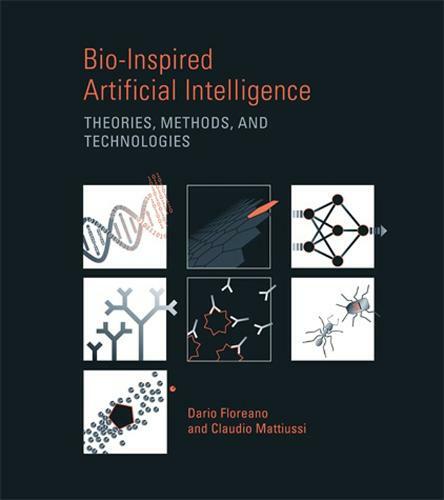 This book offers a comprehensive introduction to the emerging field of biologically inspired artificial intelligence that can be used as an upper-level text or as a reference for researchers. Each chapter presents computational approaches inspired by a different biological system; each begins with background information about the biological system and then proceeds to develop computational models that make use of biological concepts. The chapters cover evolutionary computation and electronics; cellular systems; neural systems, including neuromorphic engineering; developmental systems; immune systems; behavioral systems-including several approaches to robotics, including behavior-based, bio-mimetic, epigenetic, and evolutionary robots; and collective systems, including swarm robotics as well as cooperative and competitive co-evolving systems. Chapters end with a concluding overview and suggested reading.